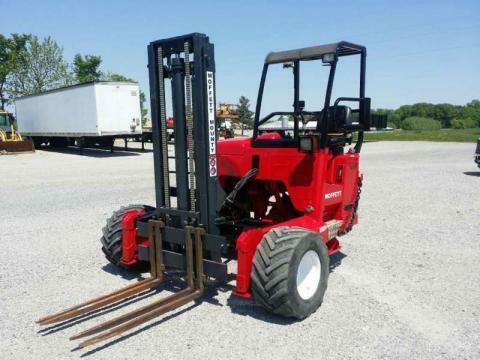 Will a Moffett Truck Mounted Forklift Bring Along Benefits? For several years now, warehouses and some construction-related businesses continue to use forklifts in their business. These are available in several forms, but the counterbalance type remains a common one. What makes it a choice among others is that the rear of the machine actually works well to counterbalance the weight of the load on the truck. Back in the year 1986, Cecil Moffett of Ireland was the mastermind behind this invention and later went on to invent the Moffett truck mounted lift truck. This invention gave rise to the impressive new concept of owning a lightweight lift truck, which would easily mount on the back of the lorry without taking much of the load space. Keep in mind that this machine follows the principle of counterbalance, where the wheels would move forward under the truck's load, meaning the fulcrum point would be forward, reducing the need for heavy counterweight. However, the main question is, would a Moffett truck mounted lift truck bring benefits to your business? Yes, they will and here are the top ones. In most sites that lack forklifts, the only way they are able to unload goods is by using their hand. At such times, the manual lifting of items from the bed of the lorry could result in strain and injury, at the same time exposing people in the area with more difficulty. Hence, using a Moffett truck-mounted forklift will bring the benefit of letting you lift heavy objects easily, without posing any threat to the surrounding. At the same time, you can mount it on the back of a truck and take it to any location, since they are also lightweight. In warehouses or construction sites that have no such equipment to help lift loads, the greatest challenge is to hire labor and the costs that tag along can be frustrating. Having just a single lift truck brings several benefits; however, if you do not have one, eventually you will have to invest in it. The good thing about this is that investing in one would let you save on labor costs. You will not have to worry about wasted labor. You can easily lift goods and enjoy smooth business operations. Every second yield more money, provided you use the time wisely. Having a truck mounted forklift proves to bring benefits in this context. Loading and unloading of goods manually can be a time-consuming thing, but when you have a Moffett, this reduces the time you will have to spend to unload the materials and it helps to speed up the entire process. Are you searching for the best quality Moffett truck mounted lift trucks in Alabama? You are at the perfect stop! At Bobby Park Truck & Equipment, our Moffett’s are all durable and they have the perfect specifications you will need in your warehouse. They help to tackle the roughest terrains and reduce the need to lift objects manually. To learn more about our Moffett’s, contact us today!